Wow my first drawing for this blog… This is so exciting!! 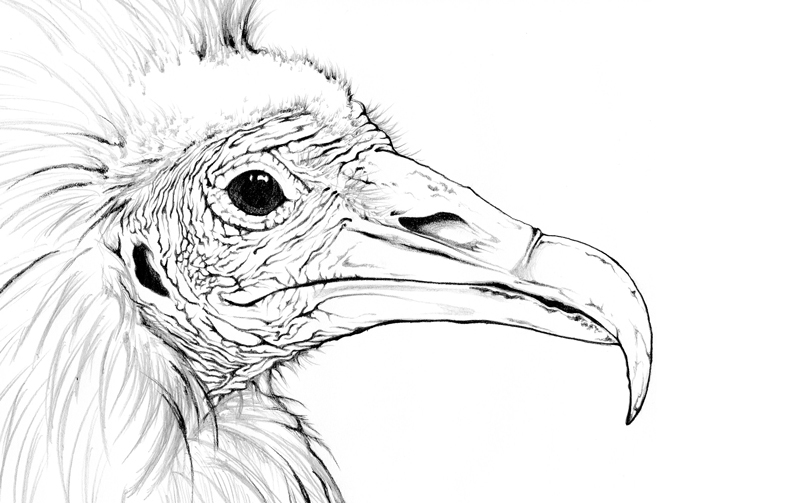 Anyway, I decided to draw this bird, because I don’t know, it is kind of fascinating. It has this old wrinkled face, like a kind of prehistoric animal, and it actually eats dead animals and it steals eggs from other birds to eat them. And to think that ancient Egyptians actually venerated this bird (among other vultures), you just have to believe that this bird has something mystic surrounding it. Anyway, so here’s a quick black and white drawing I did. The feathers were done in a hurry, but it’s just that I wanted to post something here. I will surely continue to work on the drawing.